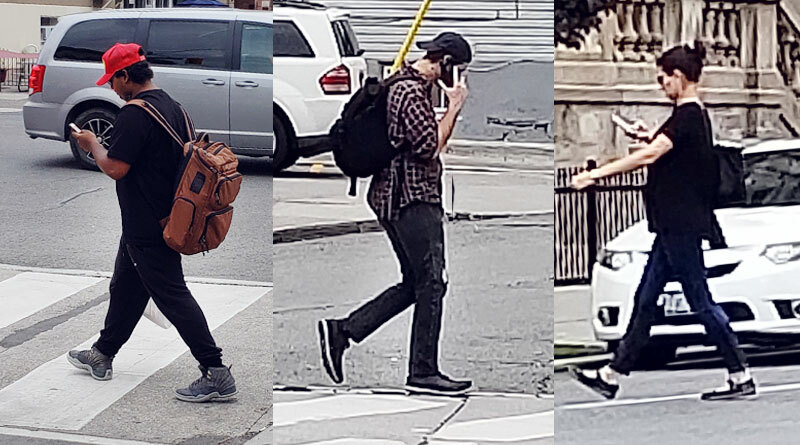 PHOTOS JASON SHVILI OBLIVIOUS: Pedestrians are caught on camera using their phones while crossing Danforth Avenue intersections. Nearly every morning, I walk with my dog down Danforth Avenue to Broadview Avenue and back to my house. I think most people in the neighbourhood will tell you that the Danforth is a really great place to have a fun, leisurely stroll. I just wish some people taking that stroll would be more careful about how they go about it. Lately I’ve become increasingly frustrated at people walking in my neighbourhood who seem to lack any pedestrian etiquette whatsoever. And this is at a time when pedestrian injuries and deaths are high on the political agenda in Toronto. We’ll be hearing plenty more about it as the date of the city’s municipal elections next month draws closer. Most of what I’ve heard so far is a lot of blame being directed at bad drivers for not obeying the rules of the road. Of course, motorists have to be held to account when their actions lead to the injury or death of pedestrians. But what about pedestrians themselves? I hate to say it, but Greektown seems to be a mecca for bad pedestrians. I’ve seen it all in this neighbourhood. Every day I see people with their heads in their cellphones strolling down the sidewalk or crossing the street without paying attention. I’ve even seen people jaywalking as they talk on their cellphones. Then there are the folks who decide to cross the street at the last second, knowing they probably won’t get across by the time the light changes. Some of the worst offenders are at the intersections of Danforth with Logan and Carlaw avenues. I’ve lost count of how many times I’ve driven through these intersections and had to honk at somebody crossing on a red light without paying attention. In one instance, I had to honk at someone who was not only crossing on a red light, but was also talking on his cellphone while holding the hand of a small child. I can’t help but wonder what sort of phone call is worth putting your life in danger, not to mention that of a child. My fellow pedestrians, it’s time to get our heads back in the game. You don’t have to take that call when you’re crossing the street. That text can wait. 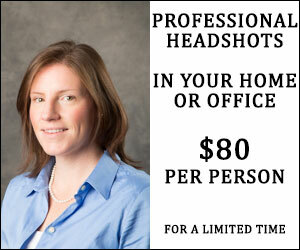 And no, disaster won’t strike just because you’re off your Facebook account for a minute or two. None of us are invincible. We can’t always assume that a driver will slam on the brakes if we decide to cross on a red light. From now on, let’s walk the streets with our heads up and our eyes and our ears open.